Many miles were travelled in the car this weekend. 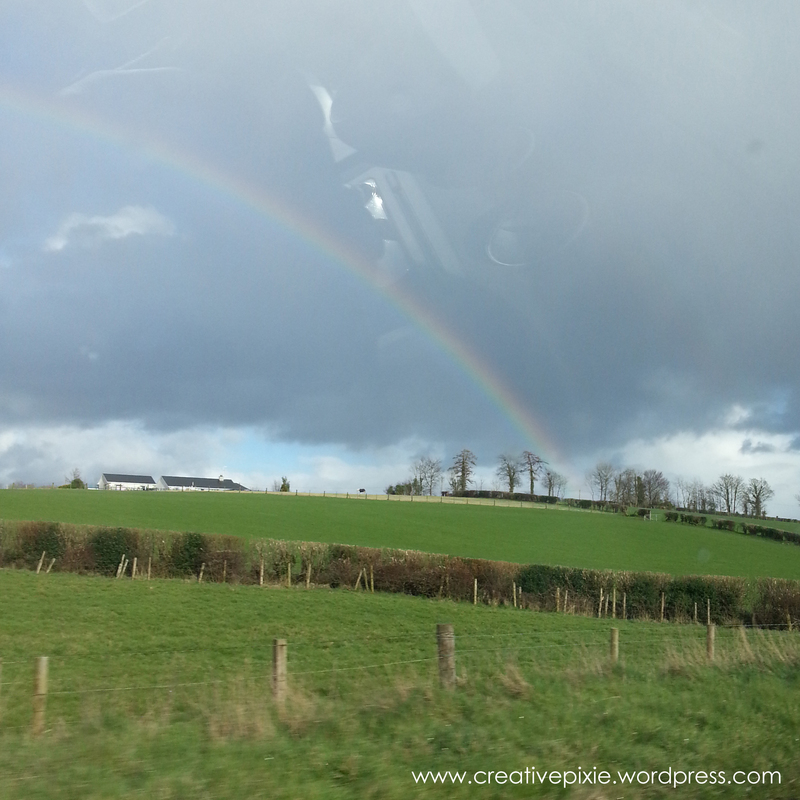 On Saturday my Mum drove me and the girls on a 140 mile round trip to visit her sister (my Aunt) in Limavady. We went the scenic route over the Sperrin Mountains. It’s quite a steep drive but with spectacular views. We even saw the end of a Rainbow (is that possible?!). 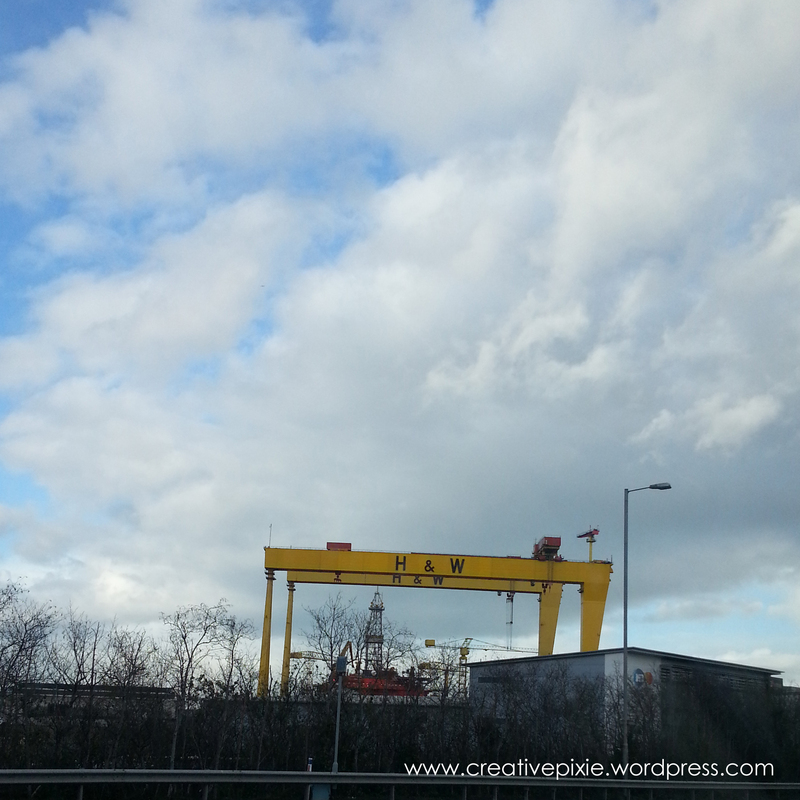 When we got back to Belfast we were greeted by the familiar sight of the Harland and Wolff cranes. Since last year we’ve had a new addition to the Belfast skyline, the Blackford Dolphin oil rig all the way from Brazil. It was brought over for a refurb before being sent on to its next job. 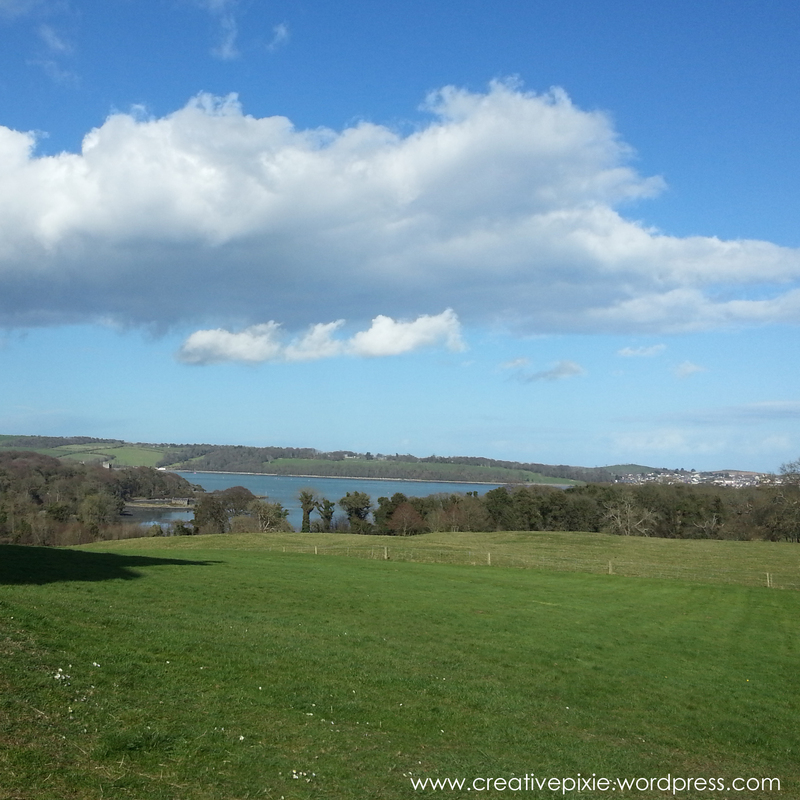 On Sunday we had a family visit to Castle Ward, on the shores of Strangford Lough. In the distance to the right you can just see the town of Portaferry. You can see why it’s an area of outstanding natural beauty. All that fresh sea air and a drive of 60 miles meant that I was very tired and had a 2 hour nap on my return home. It was a great weekend and now with the weather warming up (and hopefully being drier) we’ll have more family day trips out. Well that was lovely. I’m completely jealous of your green grass (we still have a bit of snow in a few places). You just made your little piece of the world seem even more magical then it already was. That is a shame….imagine what you could buy with a pot of gold…. It looks gorgeous! I’ve actually been to Limavady (not sure how many people from upstate New York can say that! )–we stayed in a guest house there. Loved Northern Ireland.